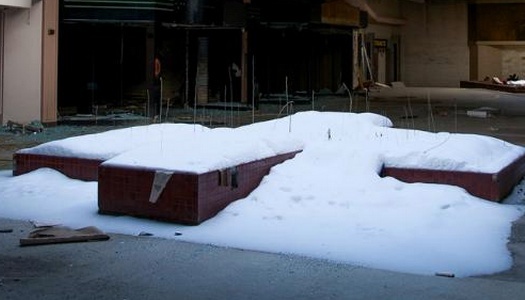 News: Photojournalist Seph Lawless captured the abandoned Rolling Acres Mall eerily covered with snow. In early February 2015, a winter storm (dubbed “Winter Storm Linus” by the Weather Channel) blanketed 20 states with snow. 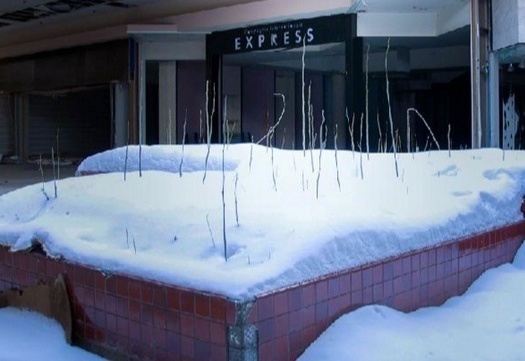 Subsequently in Akron, Ohio, a photojournalist working under the pseudonym Seph Lawless captured an unsettling snowy scene inside the now-abandoned Rolling Acres Mall. 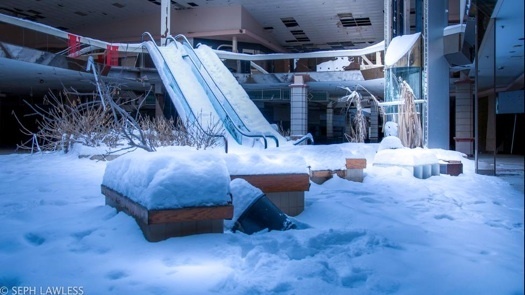 Although Lawless garnered significant social media traction with his snowy images of Rolling Acres Mall, the image set wasn’t his first foray into the compelling visual elements of urban decay and abandoned commercial spaces. 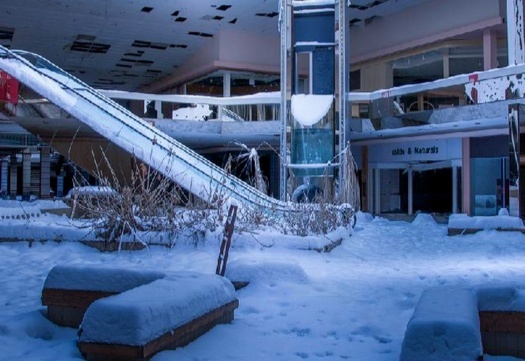 Lawless’ prior works, Autopsy of America and Black Friday: The Collapse of the American Shopping Mall documented similar content, with Rolling Acres Mall also appearing (sans snow) in his latter book. 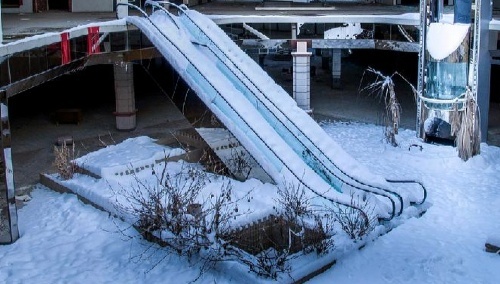 Lawless described the images as a “powerful symbol of America’s economic decline.” Rolling Acres Mall was built in 1975 and began closing its stores in 2008 before shuttering for good in December 2013.